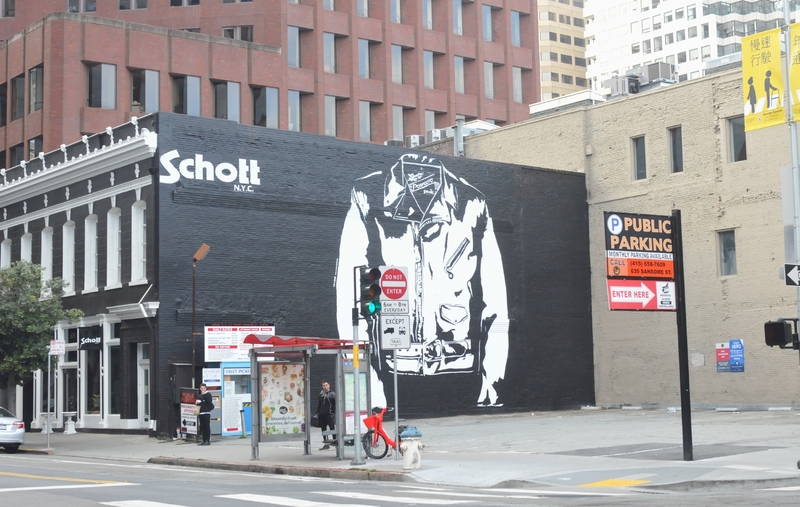 The words, "Schott N.Y.C." were painted in the upper left, to insure their being seen even when the parking lot was full of cars. 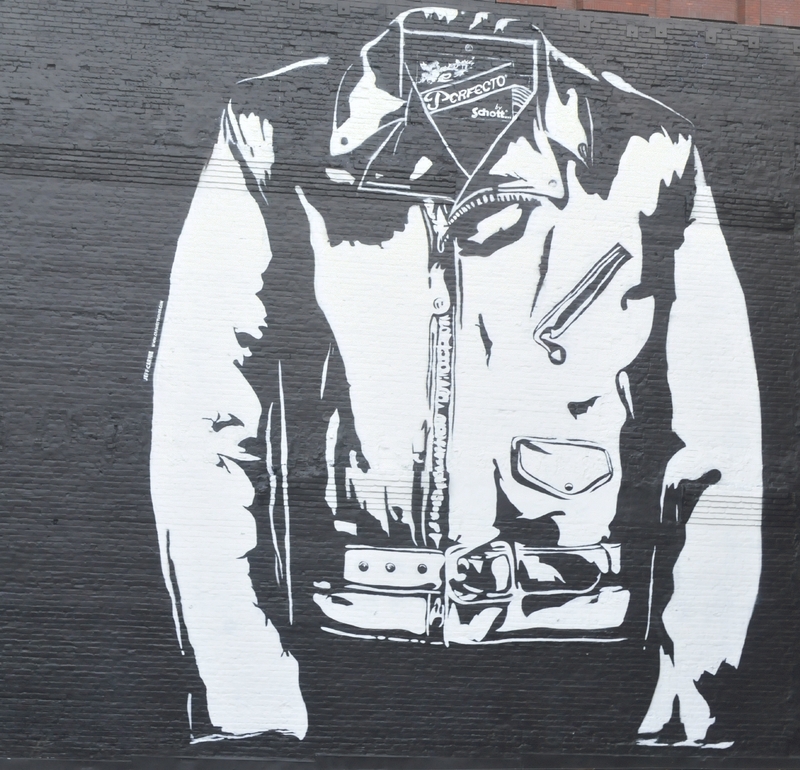 The mural depicting a leather jacket was painted in white against a black wall at the back of a Sunday-empty parking lot. 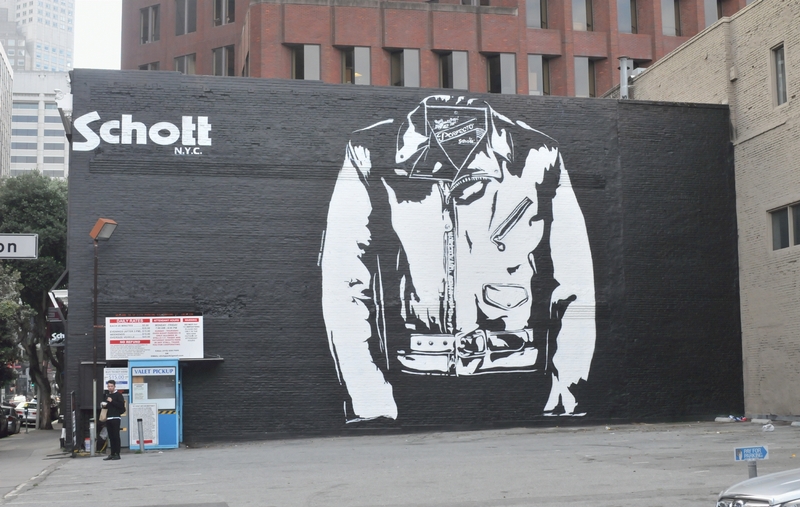 The drawing was of the Schott N.Y.C Vintage Motor Cycle Jacket with the belt fastened, the pocket unzipped, and the jacket itself only partly zipped closed. 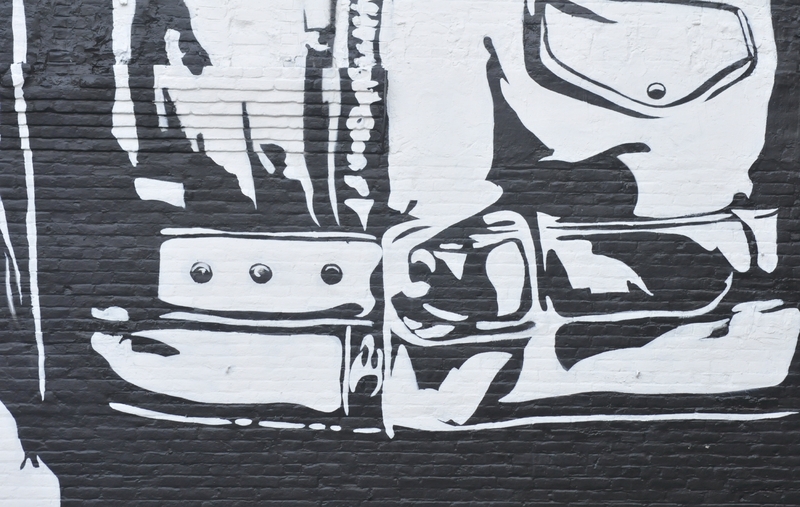 A closer shot of the belt of the jacket, with its three extra holes for when the motorcyclist lost serious weight. A closer shot of the two zippers. The pocket zipper looked nothing like a zipper. 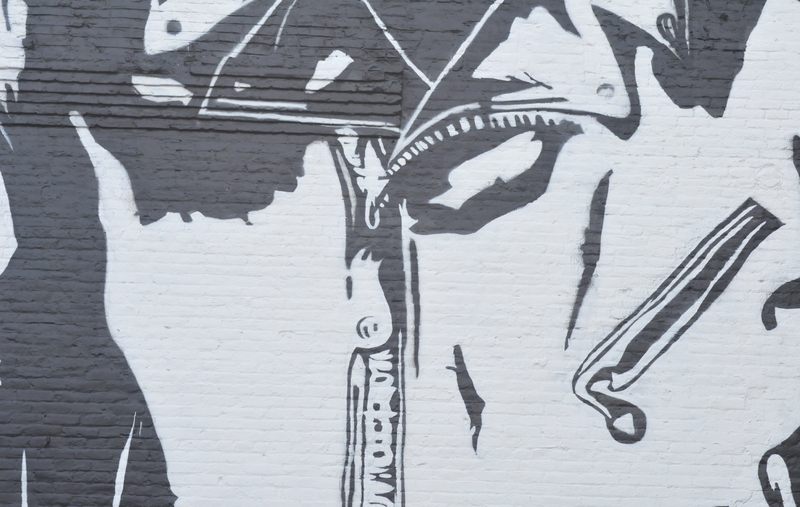 The jacket zipper was painted in more convincing detail. 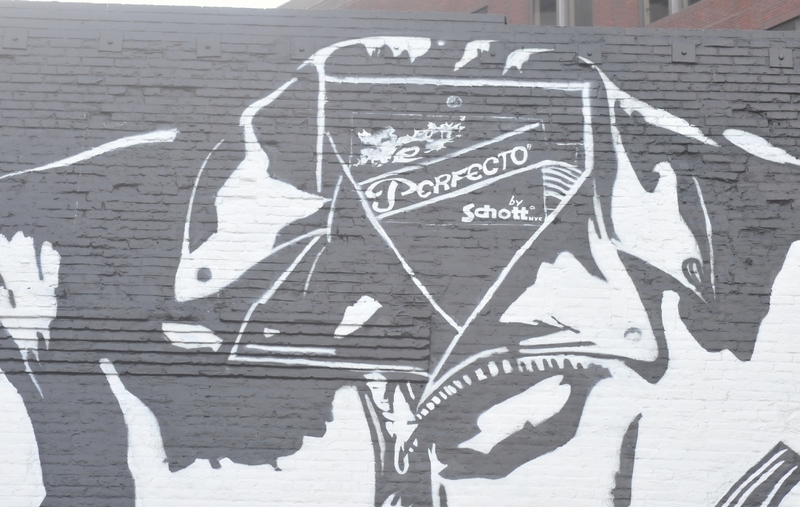 The label in the collar of the jacket read merely, "Perfecto®" and "by Schott N.Y.C." 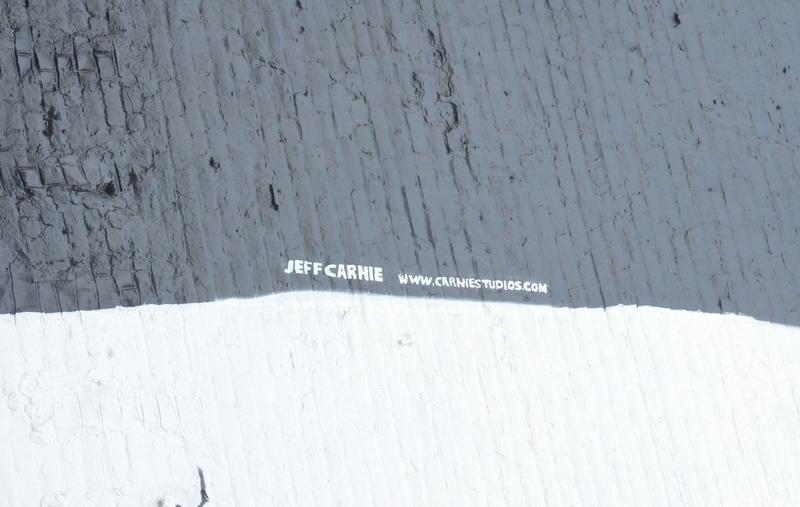 The artist's signature was tiny and easily missed.